I'm currently in the process of archiving old images of ancestors who came to the US from what is now Germany. Before long, I hope to open it for any images of German immigrants to the US. Another image of my paternal grandmother's family. 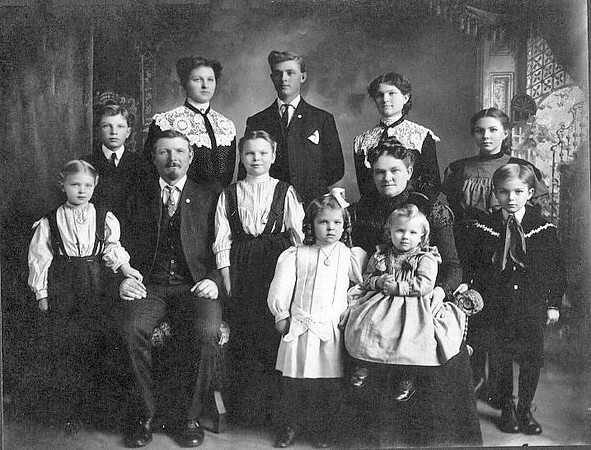 Agnes Beckman Boeckenstedt is in the back row, second from left.